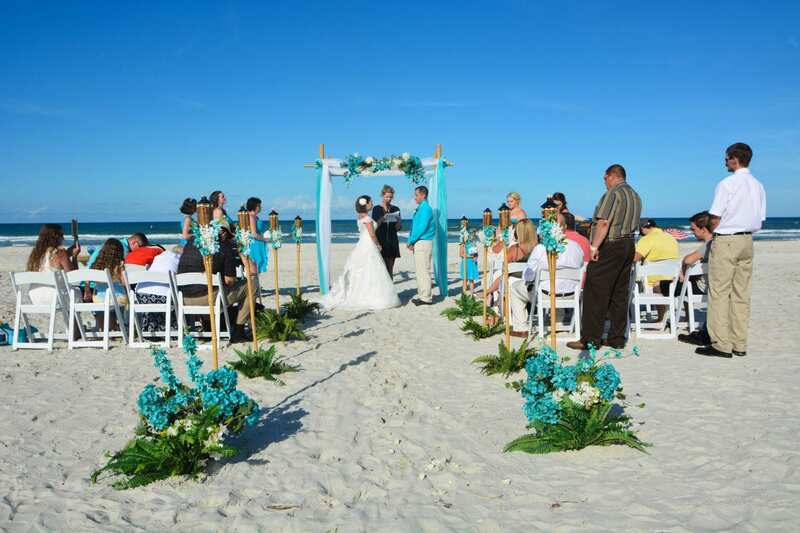 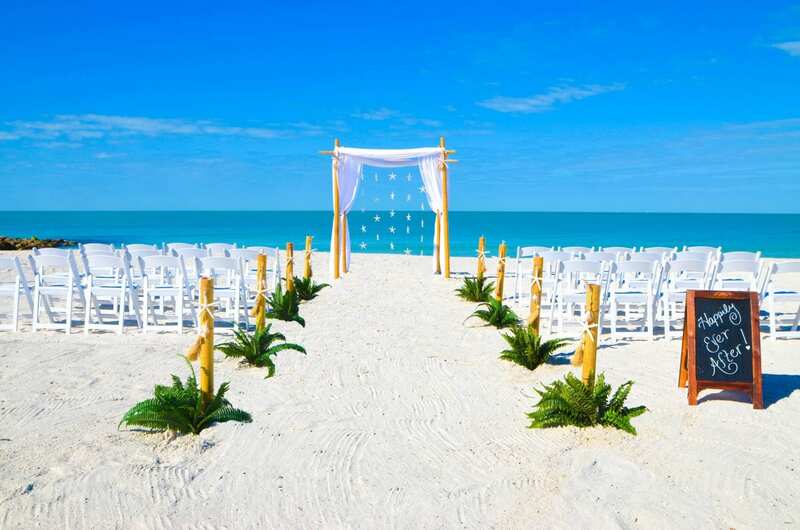 Our Distinctive Designs are our upscale all-inclusive wedding packages in Florida. 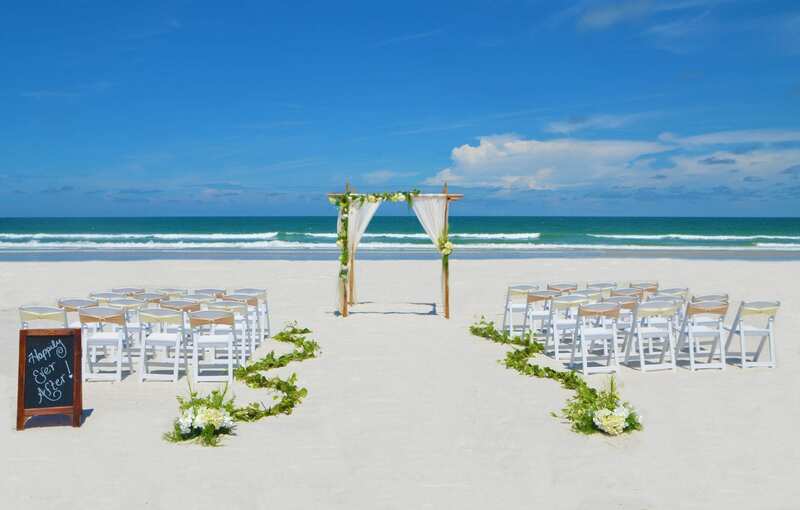 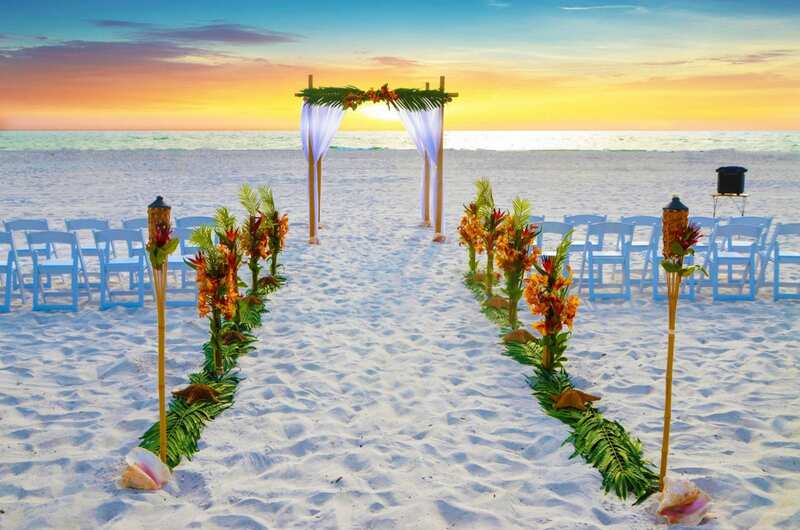 If you are searching for a destination beach wedding that takes care of every little detail, we have you covered. 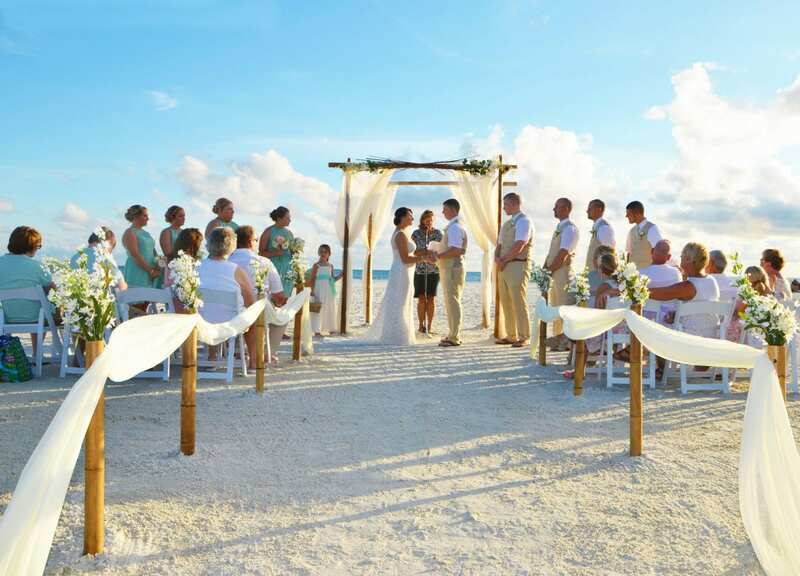 Our Distinctive design packages are not only designed to be our most elegant and timeless packages, but they are meant to include everything you need plus some! 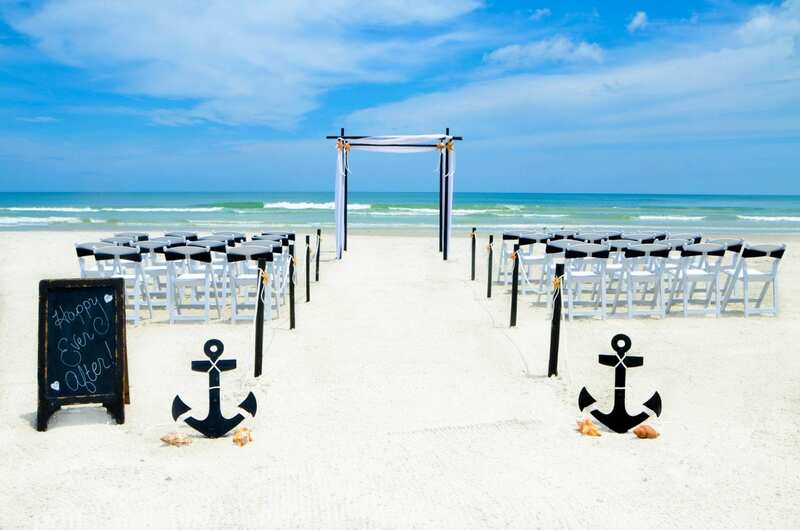 Our upscale all-inclusive wedding packages in Florida include the beautiful decor, a chalkboard sign announcing the new couple, a water and lemonade station for your guests, an officiant and photographer and so much more. 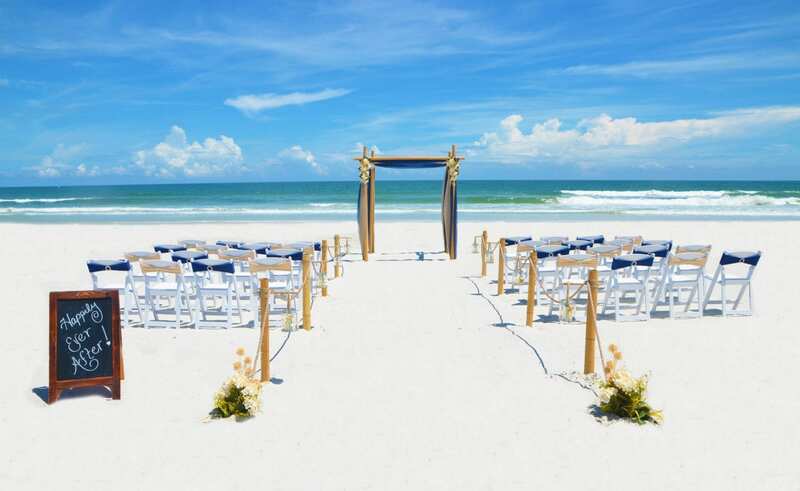 You can even add additional items to your upscale all-inclusive wedding packages in Florida to make your day even more special. 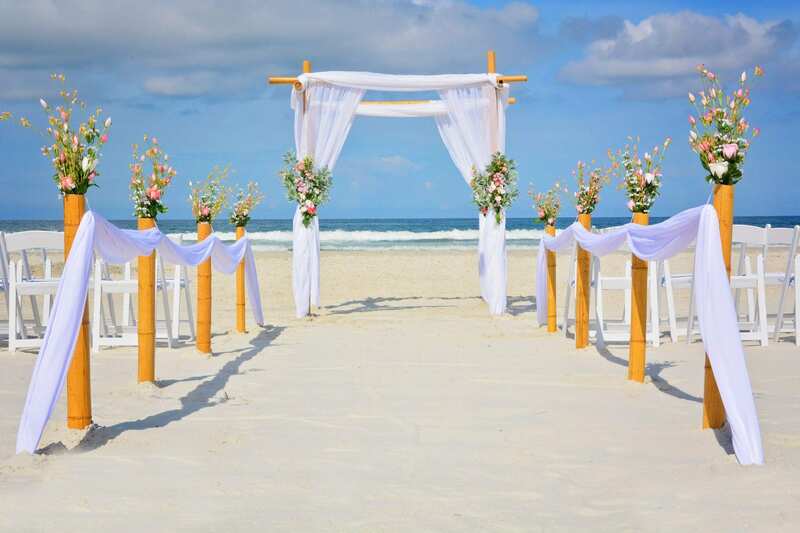 You can customize your ceremony music or add a first dance to share under the beautiful bamboo canopy, All of the information for what is included in our Distinctive Design all-inclusive wedding packages in Florida can be found under the packages page. 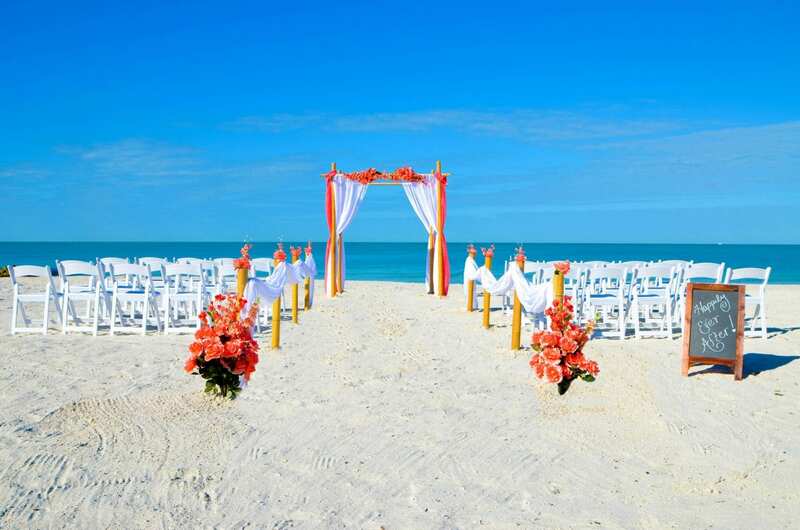 If you are ready to start planning your all-inclusive beach wedding package contact us now.